This pack contains resources for the first day of school to set up classroom rules. 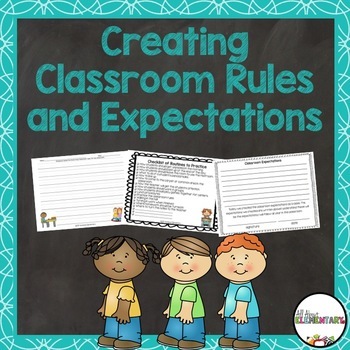 It allows the students to create meaningful rules for the classroom that they think are important to follow for the school year. 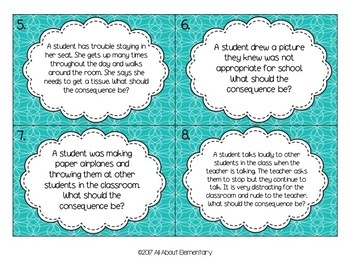 It also includes scenarios about students not following directions and students have to come up with consequences. I provided 16 scenarios and an editable template. 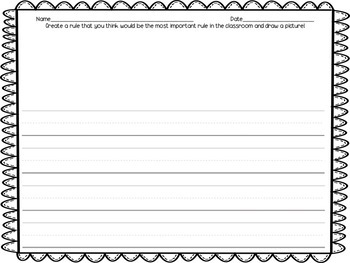 I like to use scenarios that I have had happen in my classroom, so the editable template allows you to create scenarios that have happened in your classroom. 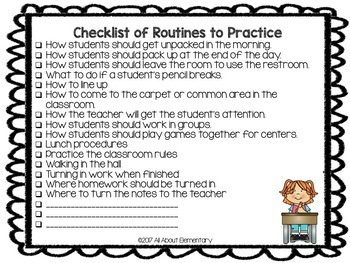 There is also a list of routines that should be practiced at the beginning of the year to help students be successful in the classroom and eliminate behavior problems. This pack is a great way to start the school year! Check out some of my other resources.